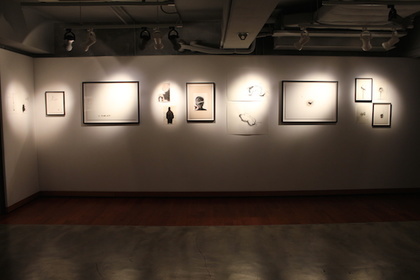 Mur Nomade, a curatorial office and gallery in Hong Kong, presents the solo exhibition Under Pressure by Hong Kong artist Claire Lee, featuring her latest collection of ink drawings and photographs. 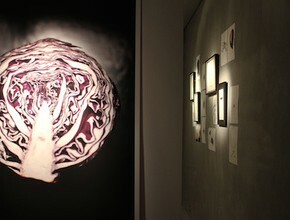 Claire Lee is a poet, curator and visual artist. She creates delicate yet unsettling artworks addressing psychological issues and offering thoughtful depictions of the contradictions in life and nature. Claire Lee’s new series is the continuation of her research-based art practice, this time exploring the theme of ‘pressure’. 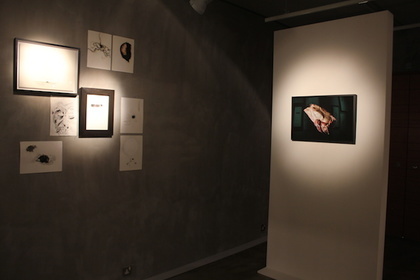 During a year of research, the artist was profoundly touched by her readings about people suffering from different degrees of pressure, from body anomalies to depression or mental disorders. 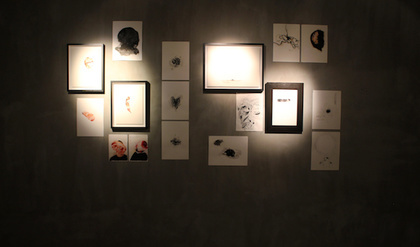 They inspired her to create this collection of more than ninety artworks. 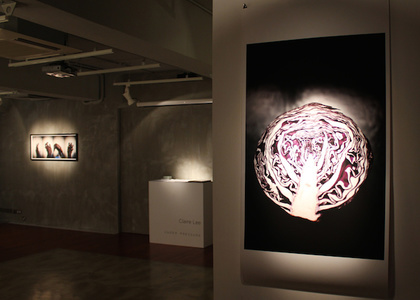 For Claire Lee, where pressure takes place, life manifests a great survival desire and energy, which she has represented in simply composed yet intense artworks. 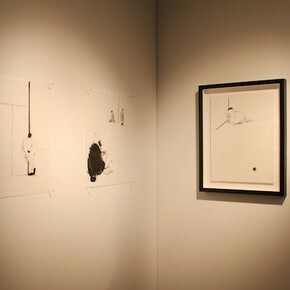 They express the tension, inherent to all human, animal and natural forms, between harmony and violence. 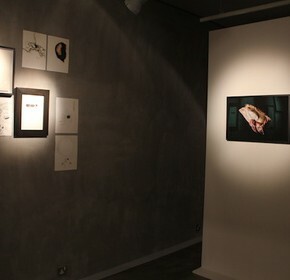 The exhibition is an invitation to discover in insignificant forms the most powerful manifestations of beauty itself. 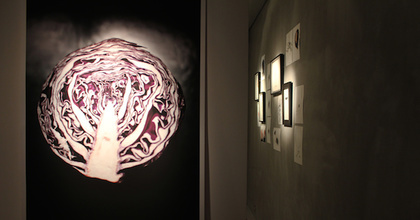 With Under Pressure, Claire Lee does not intend to shock, preferring instead to subtly push uneasy topics to the viewer’s eyes, opening the possibility to reflect on them. In the photographs, the artist stages her own body or oversized objects she previously squeezed, tied or sliced. 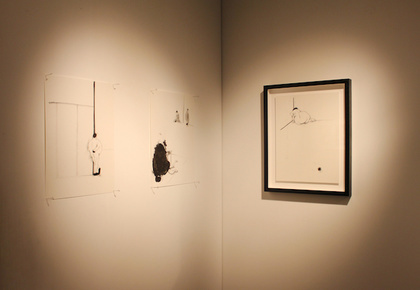 They contrast with the drawings, in which she often leaves large blank areas, as an emptiness to be filled with the viewer’s own perception and emotions. Born in 1976, Claire Lee lives and works in Hong Kong. 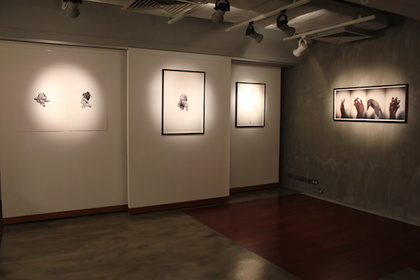 She is a poet, curator and visual artist working across the media of painting, mixed media and photography. 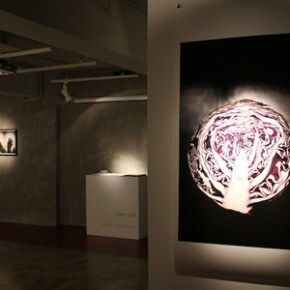 A graphic designer by training, she also studied curatorship at the Hong Kong Art School. 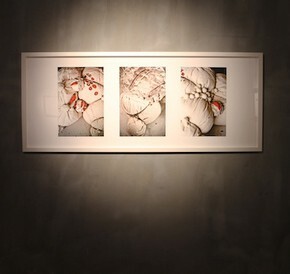 Claire Lee started exhibiting her artworks in Hong Kong in 2009 and already had six solo exhibitions in galleries and art spaces including the Fringe Club, Cattle Depot and New Gallery On Old Bailey. 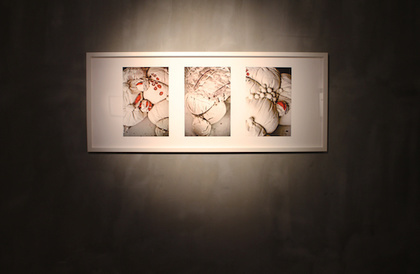 In 2014, her work was included in museum exhibitions in the U.S.A. and Japan. 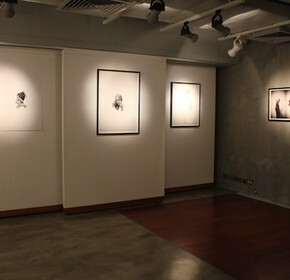 She also presented her paintings for the first time in Taipei. Claire Lee has been publishing her poetry and giving readings at forums and collaborative music performances since 2008. Her poems were included in Not a Muse: Poetry to Seduce the Senses, a selection of poems written by female poets by Haven Books Publishing in 2009. Claire Lee is concerned about the artwork itself as much as its presentation and its relationship with the space and the audience. The entire spatial experience is her creation. 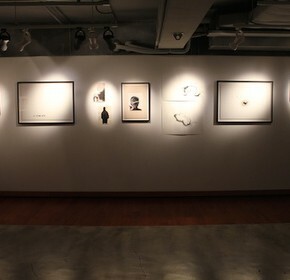 Even the titles of her artworks are extensions from her poetry work. With a sensitive mind, Claire Lee is drawn to subjects dealing with psychological struggles and personal strength, and she offers in her poems and artworks a vision of the world full of contrasts. 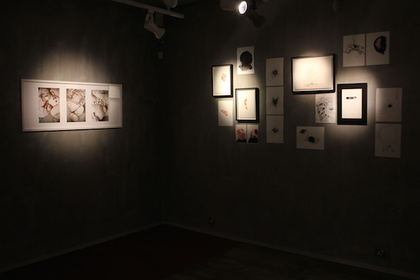 Mur Nomade is a curatorial office and gallery. Our name is the French translation of ‘nomadic wall’. 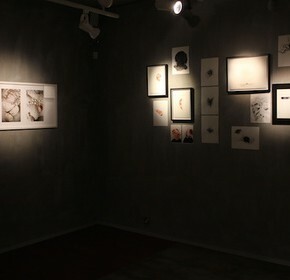 We present site-specific projects in selected venues all around Hong Kong, in addition to regular exhibitions at our gallery space in Aberdeen district. We work closely with local and international artists to imagine and conceive exhibitions and programmes such as artist residencies, collaborative art projects, travel grants, workshops and outreach initiatives. Mur Nomade focuses on projects encouraging cultural exchanges and creative encounters. We like bold ideas and we are convinced that cultural exchanges support creativity, stimulate emulation and encourage experimentation. Regular hours: Tue – Sat, 12pm – 6pm. Closed on public holidays. 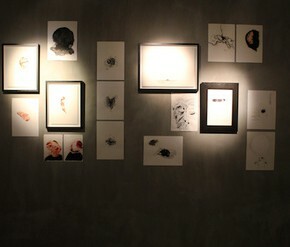 Courtesy of the artist and Mur Nomade, for further information please visit http://murnomade.com.